Filter Cartridges, Housings and Accessories for Highest Purity Applications. - Engineered with Bio-Pharmaceutical industry in mind. With the years of experience, we are involved in dealing a wide array of SS Filter Housing to our customers. These filter housing offers sterile filtration without any errors or harms. These products are simple to operate and needs low maintenance and care. 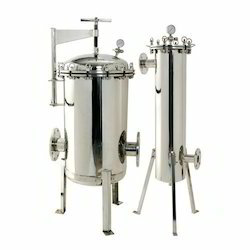 SS Filters Pvt Ltd Stainless steel housings are designed for high purity applications. All wetted surfaces are constructed of SS 316 / SS 304 and are electro polished, providing excellent corrosion resistance. The housing comes in 10" to 40"cartridge sizes to meet the needs of your application. - Single element housing designed to accommodate 25.4 cm (10 in), 50.8 cm (20 in), and 88.9 cm (35 in) length elements. Other sizes are available upon request. Matching to the requirements of the customers, we are involved in offering best quality of SS Filter Housing. This SS Filter Housing is offered by us to customers in different ranges and sizes. Further, the SS Filter Housing is extensively used to house filter cartridge and in many other suitable applications. 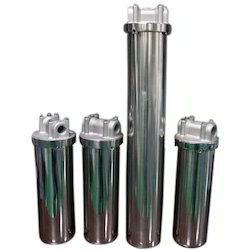 We are engaged in offering high quality range of SS Filter Housing, which is manufactured in conformation with the latest technological advancements. Rattan Industrial India Pvt. Ltd.